Welcome to my blog site where I get to express my thoughts on politics, farm life, or what ever strikes my fancy. My readers are welcome to comment, but I expect discussion to be thoughtful or at least respectful. I hold the option to not post a comment if I feel it is offensive or just plain dumb. And yes, I will define "dumb", its my site. Well it seems that Mark Zuckerburg who owns Facebook has decided to join in the war on conservatives, Southern culture and American culture. he is, by his own admission, a globalist, just as is Soros and other civilization destroying agents. Globalists defy the natural order that comes from solid national borders and seek to toss out old world values. It is they who are behind the funding of mass destruction from rabid immigration, social justice warriors, anti-Christian efforts, anti-family politics.....and much more, all bad. I can not in good conscience participate in his media outlet. So I am closing down my facebook page, for what little I used it anyway....and will just run this as I feel the urge. 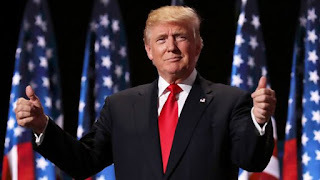 Key concept......"I wish I could tell you that, having dodged the naggy bullet that was Felonia Milhous von Pantsuit, we can now spend the next four years being left alone. But that’s not in the cards. Liberals won’t – because they can’t – pause to reflect on how they should stop being such insufferable jerks and live with us normals in peace and mutual respect. Instead, they are doubling down on their gambit for unrestrained power over every aspect of our lives, fueled by a hatred for Donald Trump that is, in reality, a hatred for us. " From now until July, Virginia will continue to honor all the states Virginia was honoring as of December 1st (approximately 30). That means that states that have been honoring Virginia permits should continue to do so. HOWEVER, there could be some sputtering on that as the current March 1st deadline will be moved to June 30th on Monday - cutting it awfully close. The Virginia State Police will update their web site on Monday and will be mailing the states that were originally going to lose recognition on March 1st and let them know that Virginia is going to continue honoring their permits uninterrupted into the future. To play it safe, the VCDL recommends also carrying your Utah or Florida non-resident permits (if you have one) as backup when traveling out of state. If you don't have a Utah or Florida non-resident permit, then you should check with the Attorney General's office of the state(s) you plan to visit on their status of recognizing the Virginia Concealed Handgun Permit. Hopefully not too long after July 1st, New Hampshire, Georgia, and Colorado should begin to honor Virginia permits. VCDL will advise as they come online. On July 1, citizens of those 19 or so states Virginia does not currently honor, such as California, Oregon, Maine, New York, etc., can begin to carry concealed in Virginia using their home state permit or any non-resident permit they might have. Also on July 1, a Virginia citizen can continue to carry concealed in Virginia on a non-resident permit from another state as long as they have not been denied a Virginia permit. Starting on July 1, gun shows will offer a place where private sellers and buyers can go to have a background check run on the buyer. This is totally VOLUNTARY. If you don’t like the idea, don’t do it. Nothing changes from current law if you chose to do so. If you wish to do the background check, the fee will be somewhere between $2 and $5 (probably $2 for a Virginia resident purchaser and $5 for an out-of-state long gun purchaser). No information about the gun being transferred should be asked or provided, except saying if it is a handgun or a long gun. Once complete, the firearm(s) can be transferred and the seller gets a special liability protection should it later turn out that the purchaser was prohibited from owning a gun. (Under current law the police could knock on your door if a gun you sold was used in a crime to verify that you didn’t knowingly sell to a criminal.) If the purchase is delayed, you will have to wait for the delay to clear if you want that additional legal protection. A person subject to a PERMANENT (a maximum of 2 years) protection order for domestic violence (and nothing else) cannot possess firearms until the protection order is lifted. A permanent protection order can only be issued after the person who is the subject of the protection order has had his day in court to refute the protection order. The person would have 24 hours to possess and transport his firearms for the purpose of giving them to another person who could legally possess firearms for safe keeping. Federal law already has just such a ban in place, this merely mimics it. Special thanks also goes to Delegate Todd Gilbert, who did a great job in coordinating the “deal” between the House and Senate. Delegate Gilbert also made sure that VCDL’s last minute concerns were addressed promptly as the deal rapidly approached being finalized. Thanks also to Delegate Scott Lingamfelter who kept a watchful eye on everything and also submitted his own bill to help with reciprocity. Delegate Lee Ware (Powhatan and Chesterfield), has been putting in full recognition/reciprocity bills for VCDL for the last 3 years or so. Last year he almost got it passed - until the State Police tanked his bill in a finance committee for totally bogus reasons. This year Ware’s bill, (HB 12, nonetheless!) was rolled into Delegate Webert’s bill and has now been signed into law. Thank you, Delegate Ware, for helping VCDL blaze the trail on full reciprocity/recognition! And a big thanks are due to the other legislators who put in their own preemption bills to stop what Herring had done. Their bills were either rolled into Reeves or Webert’s bills, or dropped since they weren’t needed: Senators Bill Carrico, Amanada Chase (a freshman who has come out swinging hard for gun rights), Tom Garrett, Emmett Hanger, and Delegate Bob Marshall. Finally, thanks to Carpetbagger McAuliffe for signing the bill and to carpetbagger AG Herring for creating such an uproar that VCDL finally got a bill signed into law that it had been trying to get passed for the last seven years! VCDL played a key role in the negotiations, with our support being a necessary component of the deal going forward. Virginia will FINALLY honor the permits from all other states come July 1. 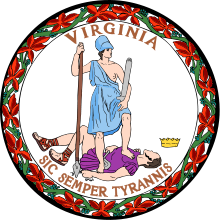 Come visit Virginia, America, and feel free to bring your self-defense with you as you enjoy the wonderful, historical, and beautiful Old Dominion! Well, the ballot box battle is o'er and Scotland is still a vassal state in the UK. However, over 40 percent who voted for secession Stop with that fact for a moment. The modern age is one of massive mobility. Here in Virginia, the Commonwealth is full of Non-Virginians. Many people don't see the value of state or regional heritage. With The War (1860-1865), the wars of the 20th century, the changes to the definition of citzenship in the constitution and generally the mobility of our population....that has been lost. Most people call themselves "Americans, it is difficult today to find enough "Virginians" to have a lawn dart game. Never mind finding enough to vote for secession. 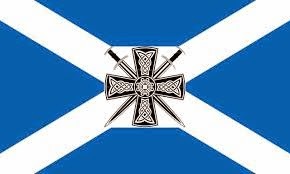 But Scotland had 40 percent who, after 300 hundred years of being part of the Empire, after serving in her military, after being taught the English version of history and all that came with being "British"....wanted to be separate. I am impressed. I am also hopeful they will hold to the faith and come back for another round at independence. This time maybe they can study up on the foundational concepts of sovereignty and win over the rest of the nation to being truly nationally and personally free. Ok, short post......the questions that surround the Scottish vote are countless. Are they really voting for national and personal freedom? Or are they actually trading one form of socialism for another form of socialism....or worse. 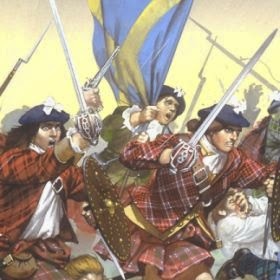 Every Scottish (Irish, Virginiain, and Confederate) part of my heritage and background says give Britain the heave ho....take back the fields from Culloden.......and in the end I pray they will. I pray it sets the world on fire for true freedom, not this "arab spring", "muslim uprising" or the western driven chaos in the Ukraine all driven by our very own CIA/IMF/ western banker. 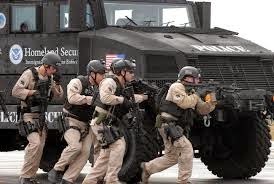 Salient point......"If the United States is a police state, then the Department of Homeland Security (DHS) is its national police force, with all the brutality, ineptitude and corruption such a role implies. 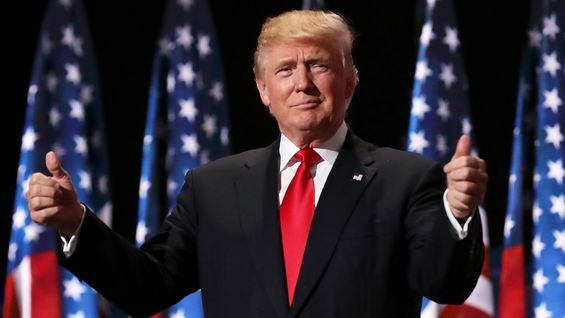 In fact, although the DHS’ governmental bureaucracy may at times appear to be inept and bungling, it is ruthlessly efficient when it comes to building what the Founders feared most—a standing army on American soil." Read it all......we fail to remember when this government took it as a mission to kill our own. Southerners and Indians remember all to well the hundreds of thousands who died. In fact, the US government has been a solid performing killing machine for generations....the world over. I know he has gone home, but I do and will always hear, see, and feel my Dad in my heart and head. And I am glad. I feel his presence as I walk, work, and live on our farm. Even now, when I go to work, I feel his smile and hear his interest and excitement in my work. Each time my career took a step, he was proud of his son, especially when he called me to ask how that last interview went. I think he as was excited as I was to hear I was headed back to Tech where we both got our engineering degrees. In fact, in spite of many things, he was always proud of all of his sons. He did not always understand us, but he was proud. He hurt those years there was so much strife. 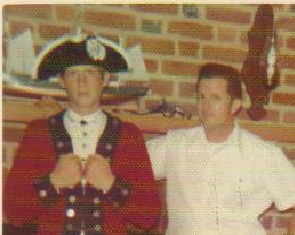 I chose a photo from 1972, we were younger and times were tough for the two of us. Times were tough in the family in general. That would get tougher for all of us before they got better. As I got older I came to realize just how difficult life can be and rearing three head strong boys can be a challenge for parents. And I know he did the best he knew how to do. Based on the three of his sons, he (and Mom) did not fail. For my part of the relationship, I thank God that I grew up and times got better between Dad and I. Through his examples (good and “less than good”), he set a standard for me as a person, a man, a husband and engineer. 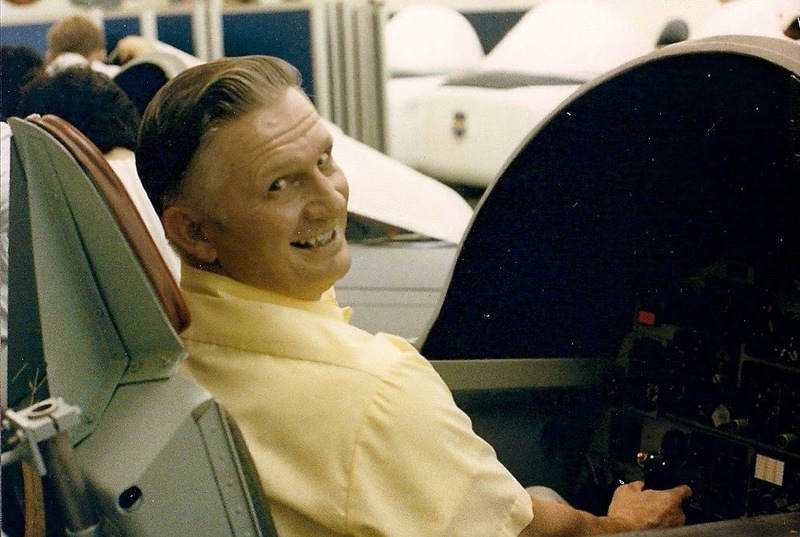 Today, I honor my Dad all he taught me and how he loved me as his son. Born in Virginia over 50 years ago, I was taught the order of loyalty expressed by Gen Lee.I expanded and adopted a similar order of loyalty as my own. My first duty is to God as a Christian, then to my family, then to my region and local associates, then to my state, Virginia. As long as the nation was true, then to support it as well. 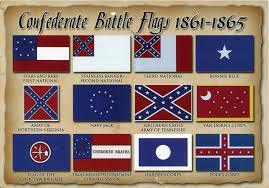 The United States failed as far back as 1860 and so my national loyalty is to the Confederate States. I pray we can save Virginia.